Sinking has worsened at the Exhibition Centre Station site. The contractor is a joint-venture between Australia's Leighton and China State Construction. 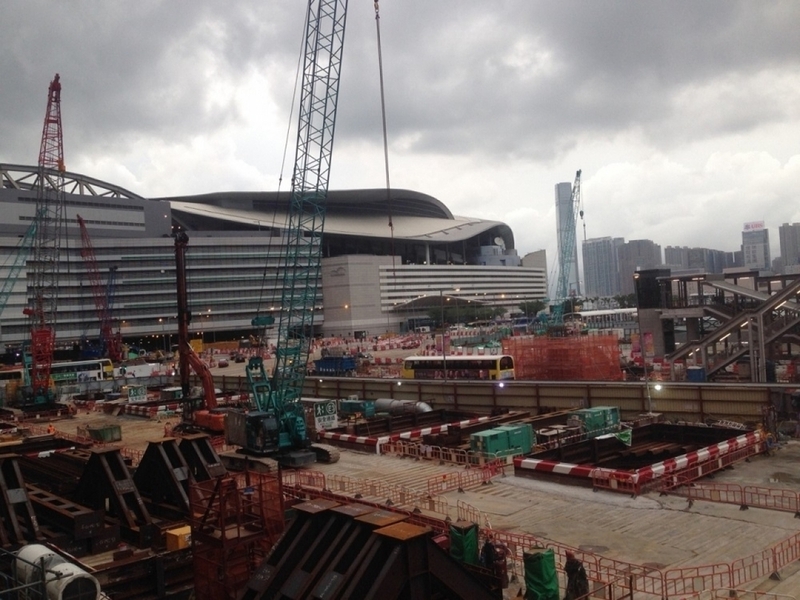 The Highways Department today ordered the MTR Corporation to immediately stop excavation works at the Exhibition Centre Station temporarily near areas where sinking has exceeded the highest level, based on monitored data. The contractor is a joint-venture between Leighton and China State Construction. The Exhibition Centre Station of the Sha Tin to Central Link works project is an underground railway station, the construction of which involves a large amount of excavation works, the department said. Monitoring points will be installed around the construction site for assessing the impact due to the excavation works on nearby road surfaces, footpaths, underground utilities and structures to ensure the safety and assure that the construction works could meet design requirements and statutory requirements.